« National Technology Assistance Awareness Day! Hello guys, Andrew here – what an awesome few weeks in the AT world! A couple of weeks ago at the CSUN Conference in California, I finally had the chance to get my hands on the very cool and uber accessible new Xbox controller. 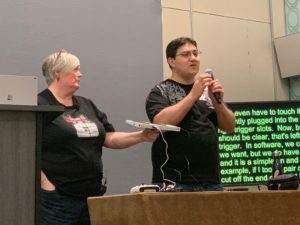 The adaptive device is aptly named “Xbox Adaptive Controller.” This is our second post on this cool device — but I wanted to share some feedback after seeing it in action and playing popular games like Minecraft and Forza. The adaptive controller is extremely versatile allowing any switch to be connected via 3.5mm jack — each button movement (taken from the original controller) can be replaced with a switch. 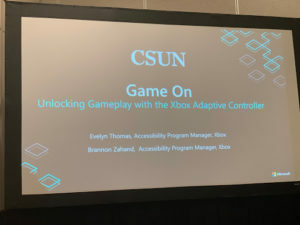 Finally, it should be noted that the controller also allows other adaptive input controllers such as joysticks to be utilized in conjunction with Xbox’s controller! 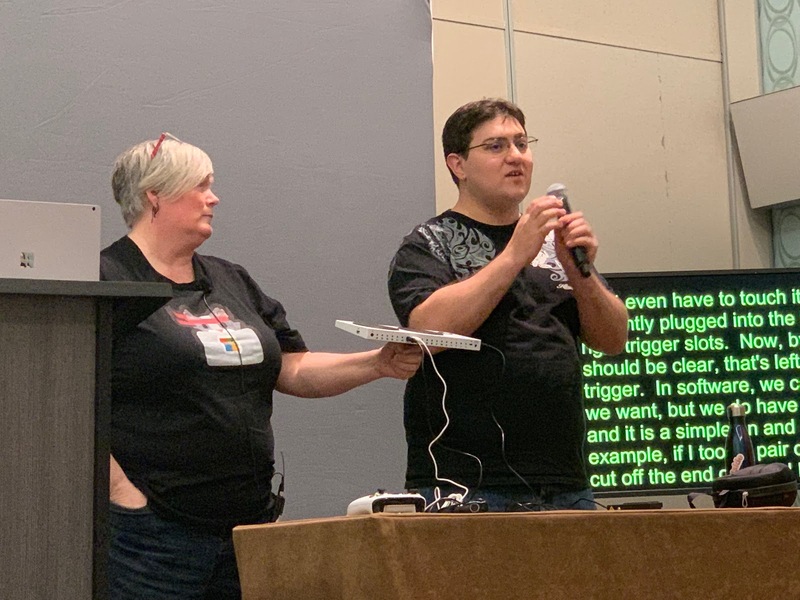 Microsoft did the very class thing and did not lock the device to their platform so it can be used on Playstation and other computing systems. As a gamer myself, I love to customize my controllers by adding tactile skins and I was very pleased to see that the aftermarket folks have already started to ship skins for the Xbox’s latest controller, too. I think for $99 this is an absolute steal and a great addition to Xbox’s other gaming peripherals! Happy (and inclusive) gaming folks!